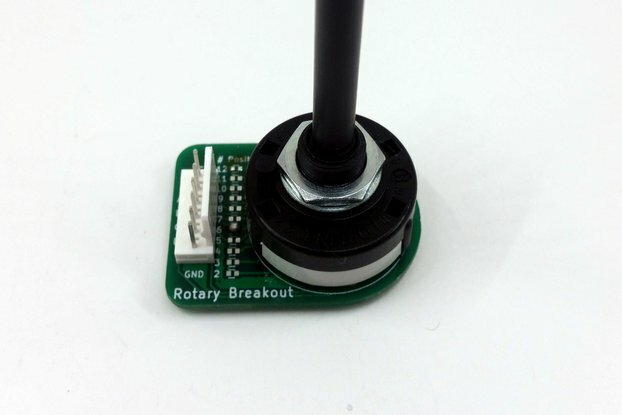 Ship an Arduino Nano with the breakout board? How many relays need fitting? All the connectors are pluggable, which means swapping out the board is easy in cramped spaces. 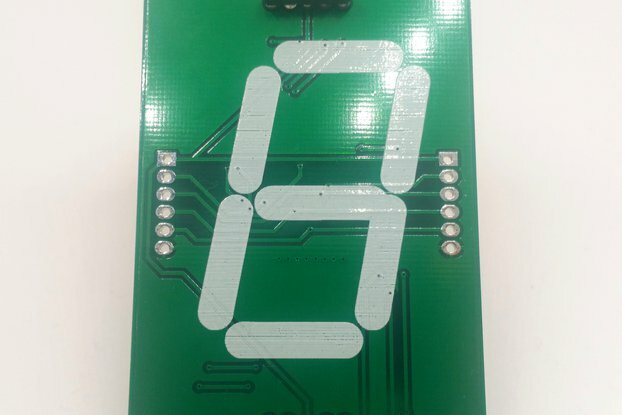 The board allows for labelling of each connector, so you always have a reminder of your wiring layout. 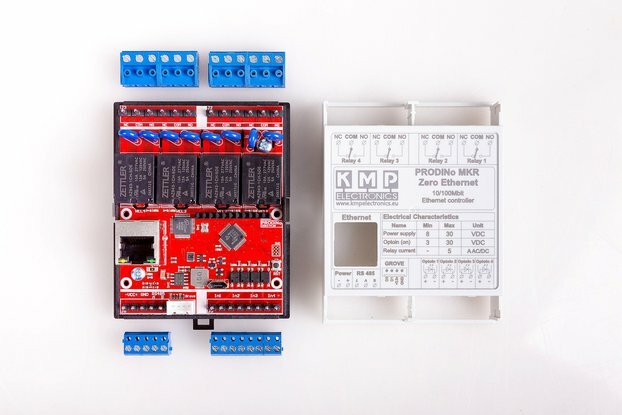 Because all connectors have their own ground and power connections, wiring up of your project becomes a lot simpler. If you spent a lot of time wiring up Arduinos to those 1/2/4/8 channel relay boards, you'll know that it can get messy quickly. 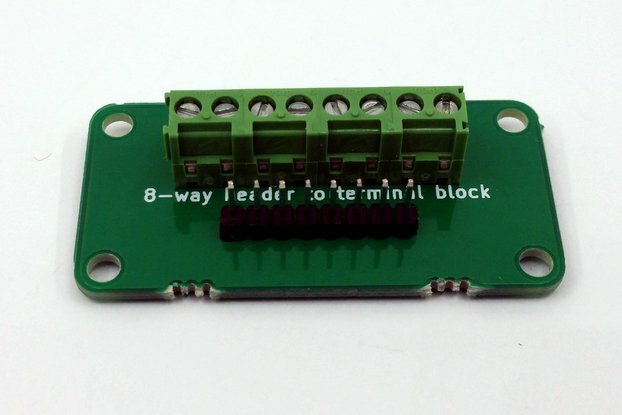 This board aims to make life easier by making most of those connections for you just by connecting or removing jumpers. D3 through D10 are each broken out to a configurable I/O header. Each I/O connection has its own power and ground. 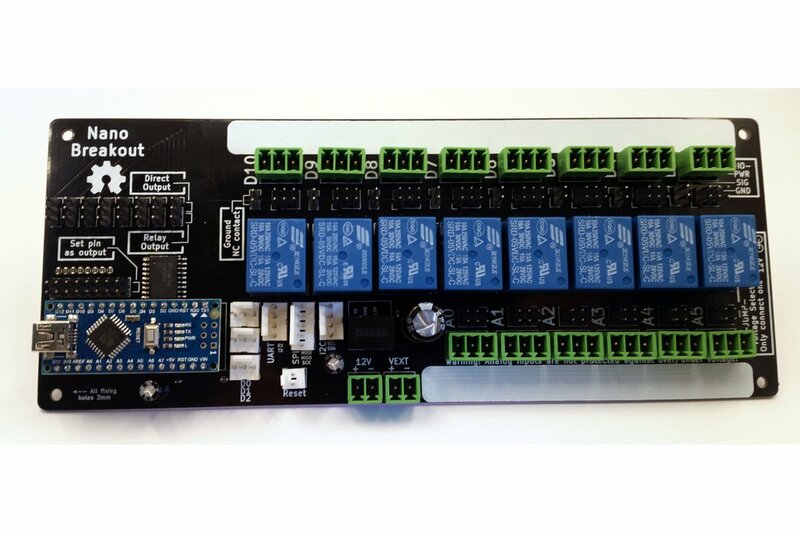 Power for each I/O can be selected from 5V, 12V and an external voltage. Each digital output can be configured to either be connected directly to its output connector or switch a relay. 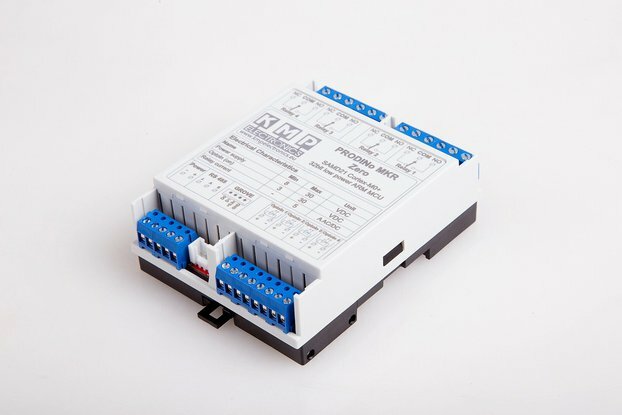 The relay COM terminal can be connected to 12V, 5V or left open. The NC terminal can be connected to GND or left open. 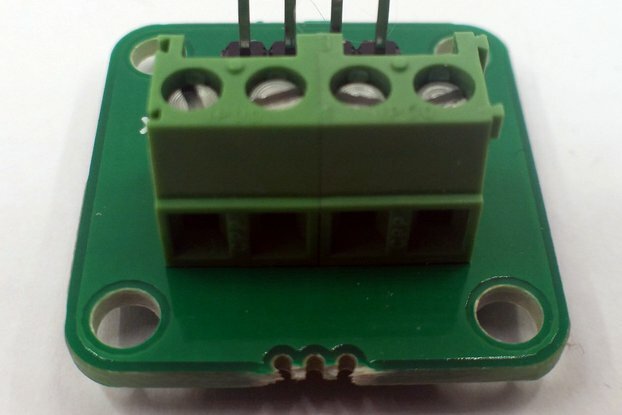 The relay can therefore be used as a simple "dumb" switch or to switch power. When used as a digital input, the input protected by a 10K resistor and clamping diodes. This means high-voltage signals can be directly connected to the header without needing external divider or clamping circuitry. A0 through A5 are each broken out to a configurable I/O header. Each I/O connection has its own power and ground. 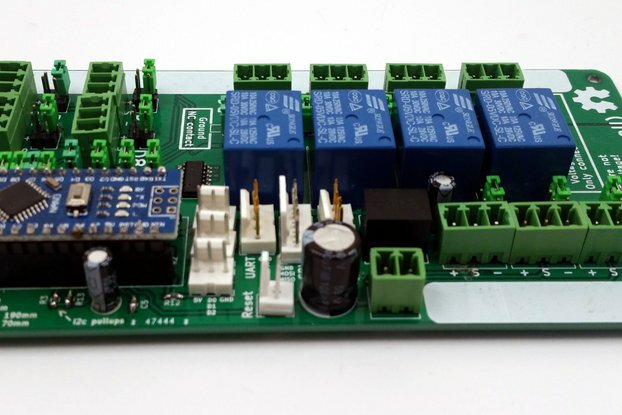 Power for each I/O can be selected from 5V, 12V and an external voltage. Note that unlike the digital inputs, these inputs are not protected against overvoltage. 5V-GND only! SPI, UART and I2C connections are provided, each with 5V and GND pins. Reset is broken out to a 2-way header to allow reset via an external switch or other reset circuit. All connectors are keyed and pluggable. No tools are required to insert or remove them. This makes replacing the board a lot easier than (for example) unscrewing terminal blocks. All configuration is via standard 0.1" headers/jumpers. No soldering of jumpers required. Each connector row has an area of silkscreen for labelling the connections in permanent marker or label tape. 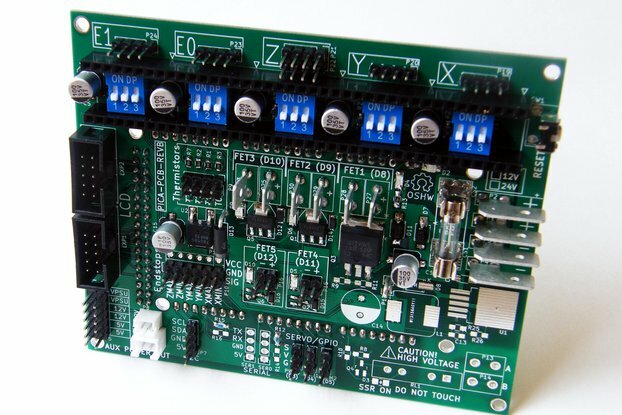 The board is powered from a 12V supply. 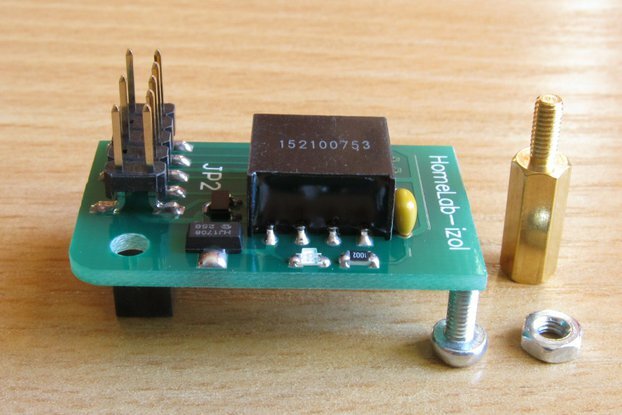 A DC/DC module provides 5V power up to 1A. An external voltage can also be provided to supply any devices that require other voltages. The USB can be connected safely at the same time as the 12V supply without causing damage. Please select if you would like an Arduino shipped with the board, and the number of relays you would like fitted.